Welcome to Fu Luck Bar. The city’s authentic vintage-themed F&B venue where the decor and prop are individually handcrafted and re-constructed, and sensibly curated as an Instagram-worthy galleria of nostalgic pop culture moments. 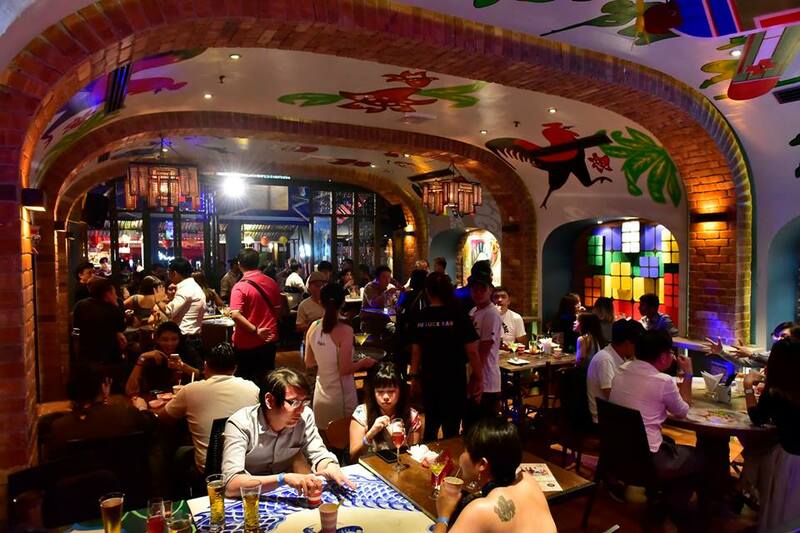 u Luck Bar pays homage to the eat-drink-make merry culture juxtaposed against a delightfully quirky backdrop of the 70s and 80s, in its overall theme. 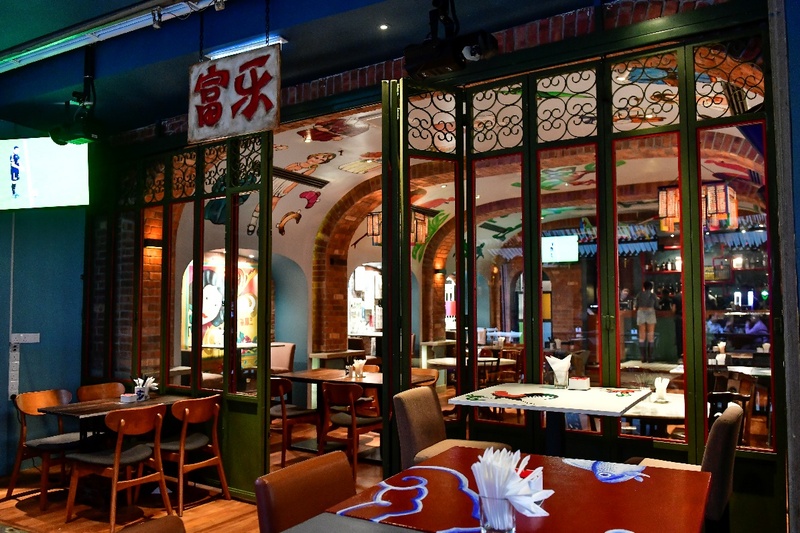 The 80-seater bar also features affordable comfort food serving delicious wanton noodles exclusively from the 62-year old heritage brand Pudu Chan Fatt Wanton Mee, alongside dim sum, tapas, for lunch, dinner and supper. Plus, a collection of signature cocktails from the bar. 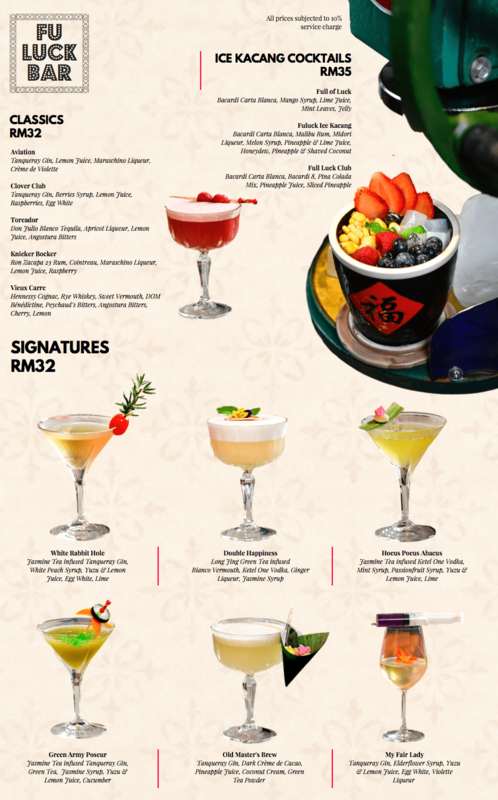 For teetotallers, there is a menu of flavoured ice teas to pair with dim sum tapas. 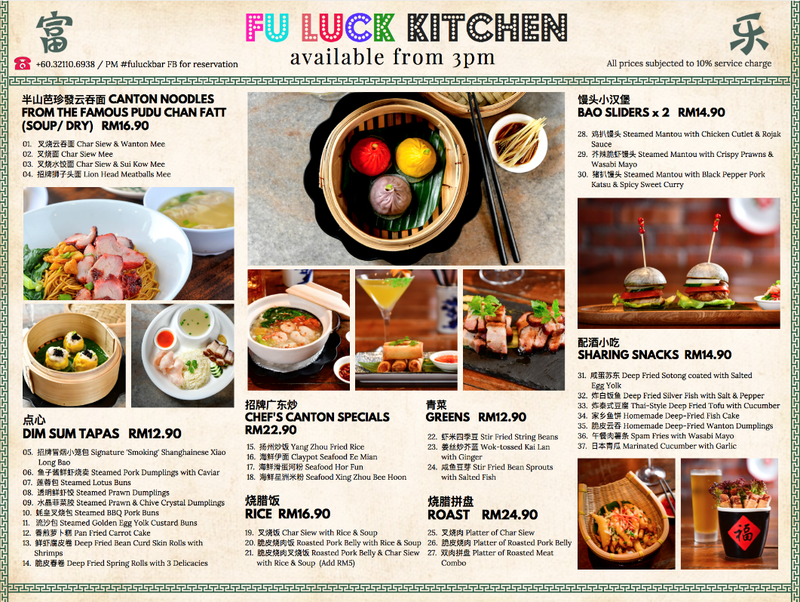 Fu Luck Bar opens from 12pm for lunch [Mondays – Fridays], and 5pm for dinner and happy hour [Saturdays and Sundays]. The venue closes at 2.30am and 3.30am on weekdays and weekends, respectively. 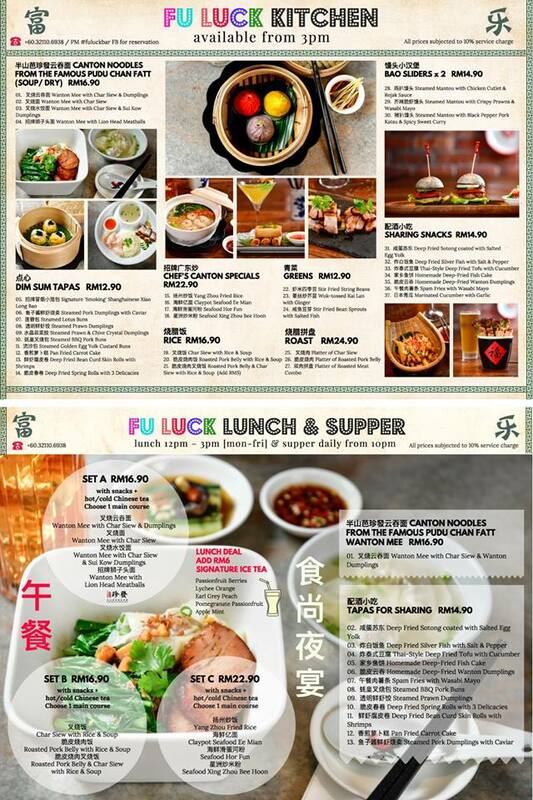 Behind the eclectic artwork that characterizes Fu Luck Bar are the urban artists Graeme ‘Jay’ Hammond and Idris Johor, who led a team of five artists and worked on the development and reconstruction of all reclaimed and original props, décor, furniture and art for 5 months prior to the launch. The mandarin characters above the entrance read ‘Fu Luck’ and has a cool innuendo. 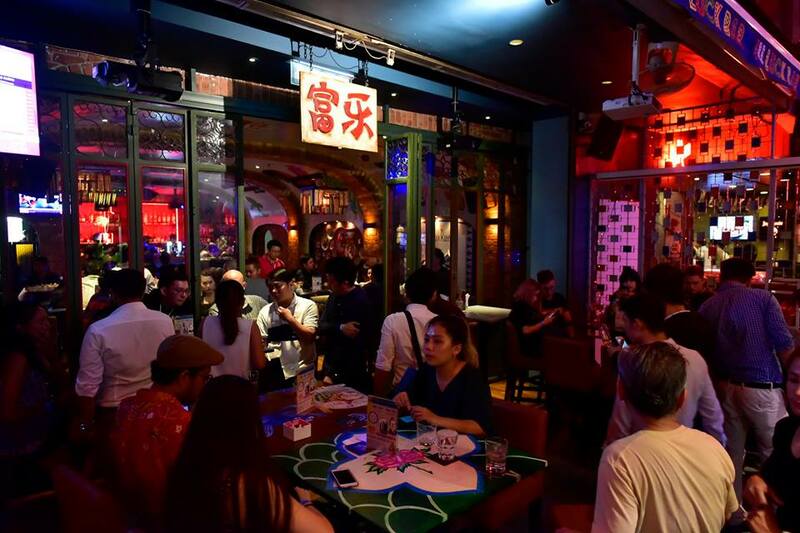 In Mandarin, it means prosperity and happiness, an apt, if somewhat tame name for an establishment, but in Cantonese it reads as ‘Fu Lok’ directly translated as “pants down”, as is befitting of its laid-back atmosphere. • Only bar in the city that serves wanton noodles from a Malaysian heritage brand – the 62-year-old Pudu Chan Fatt Wanton Mee. • Over 80% of its furnishings, accessories & props are reconstructed, custom-made and handcrafted. • With 60% of props reconstructed or are of original creation. • Like a canvas, the hand painted wall murals are refreshed eight to nine months, for new inspiration. 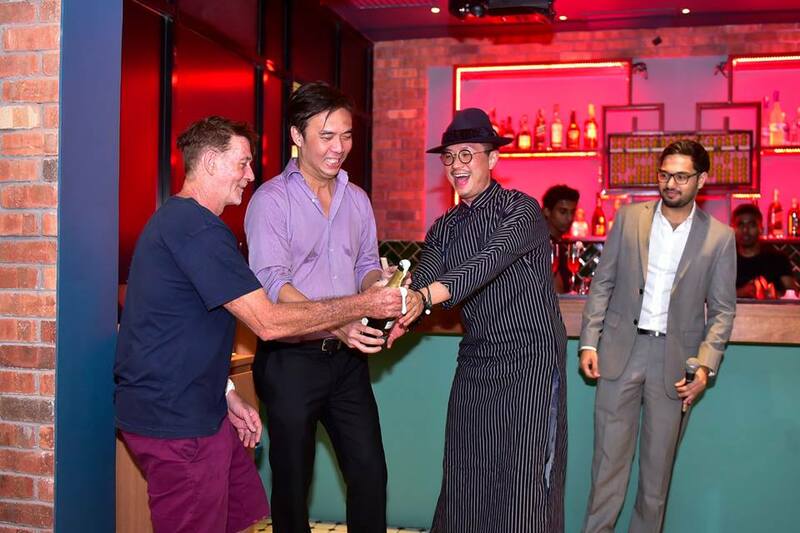 This entry was posted in Food, Party, Uncategorized and tagged asian food, bar, cocktail, dim sum, food, foodie, hocus pocus, pudu wan tan mee, TREC, wan tan mee by TheGoodGoodGuy. Bookmark the permalink.